All She Speaks participants are registered to win a door prize like this one from WomensMinistry.net and The Neighborhood Cafe! She Speaks is a life-changing conference for women of every generation seeking to explore the tug on her heart to reach out to the world for Jesus. Through She Speaks, Proverbs 31 Ministries encourages and equips women who are called by God to share our mission to bring God’s peace, perspective and purpose to today’s busy woman. Sharing God’s truth with love is not only a holy calling but a remarkable responsibility. If you’re attending this conference July 22-24 in Concord, North Carolina, be sure to look me up. 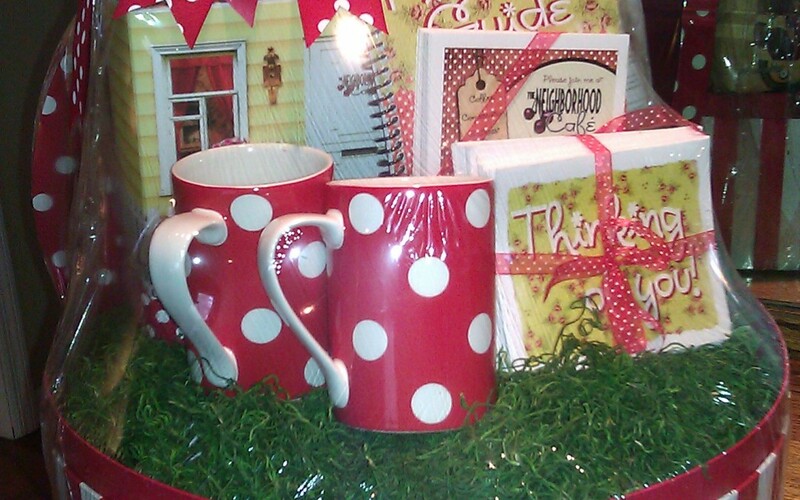 Enter to win a Cafe Kit and a signed book from WomensMinistry.net in a fantastic door prize like this one! Stop by the WomensMinstry.net table to check it out and get more information about neighborhood ministry. I’ll be looking for you and your table. See you at She Speaks! Kelly, I’ll see you there! It’s such an amazing weekend. Guess I’d better start packing, if I’m leaving in 24 hours?! Great! I’ll be sure to stop over!